CSUN marine biologist Kerry Nickols, pictured here on a prior trip to Antarctica, will be boarding a ship next month bound for Antarctica. She is part of an all-woman expedition that, among other things, will explore how the women, leaders in the fields of science, technology, mathematics and medicine, can work together to battle climate change. Photo courtesy of Kerry Nickols. 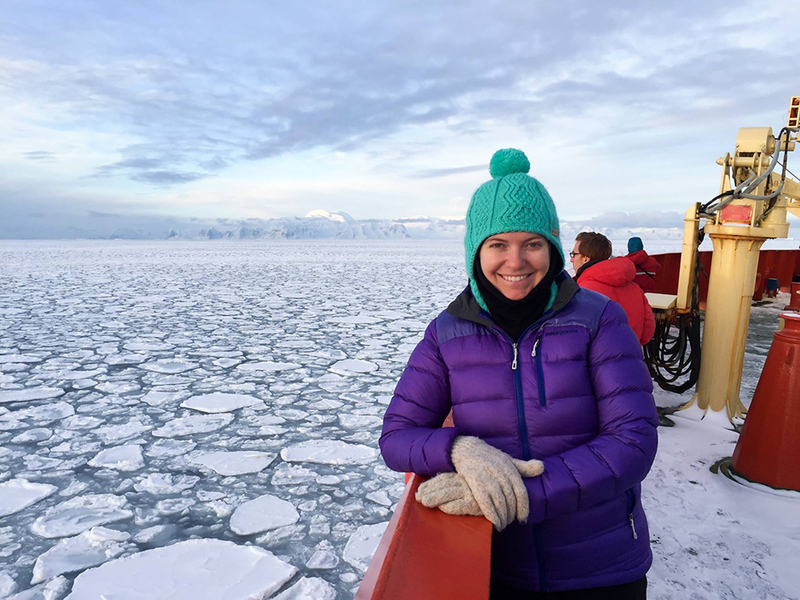 In little more than a month, California State University, Northridge marine biologist Kerry Nickols will board a ship with 80 women from 27 different countries and embark on an expedition to Antarctica to explore how they can work together to battle climate change. In the process, Nickols said, the women hope to heighten the influence and impact of women in making decisions that shape the planet. Nickols is in the third cohort of a program called Homeward Bound, a global leadership initiative for women in science, technology, mathematics and medicine, STEMM fields. The program aims to build an international network of 1,000 women in those fields to influence policy and decision making as it shapes the planet over a 10-year period. Nickols and her colleagues set off for Antarctica on Dec. 31. They will spend the next 21 days networking, building leadership skills and finding ways that they can support each other’s research as well as their individual efforts to advance in their respective fields. Wi-Fi on the ship will be spotty, at best. Instead, the women will spend their time in academic and leadership workshops, including discussions on how to navigate in what are still male-dominated fields. The women also are encouraged to use the time without outside distractions to focus on prioritizing the goals they hope to achieve in their respective fields, and to network with their fellow passengers on how to achieve those goals. Nickols noted that all the women on the expedition, whether they are medical doctors or marine biologists like herself, are concerned about the impact climate change is having on the world. Nickols’ research focuses on marine protected areas and how they are impacted by climate change. As part of her research, she has explored ocean habitats from California to the Caribbean and Antarctica.